Sir Alex Ferguson has been charged with improper conduct by the Football Association over comments made last week about Howard Webb in the build-up to last Saturday’s Premier League title decider between Manchester United and Chelsea at Old Trafford. However, the comments Ferguson made about Howard Webb themselves were innocuous, including a statement that he believed Webb to be the “best referee”, they still questioned FA Rule E3. The Manchester United boss shortly added, “But (receiving a bad decision) is definitely our big fear. There wasn’t a problem with anything Ferguson said last Friday, just two days before the biggest game of the season. There’s a rule which states no manager has the permission to speak about a referee in advance of the match being played. The United boss recently served a five-match touchline ban following comments he made about Martin Atkinson in the wake of his side’s Premier League robbery to Chelsea at Stamford Bridge on March 1, 2011. There’s now concern at Old Trafford about the likely punishment – another five-game touchline ban has been suggested. 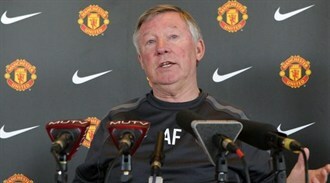 Sir Alex has until 4pm on May 16 to respond.